Summer means extra sun, longer days, and much-needed vacation time. If you are the parent of a child with ASD, the break from your normal routine can also cause you a lot of stress and anxiety. You don’t want to overburden your sensory sensitive child, but you don’t want to stay home all season, either. Our travel tips for children with autism will help you have a fun, enriching vacation—for the entire family. Not only will you, your spouse, and your other children have a fantastic time, you will also benefit your child with special needs. Travel is an excellent opportunity for kids with autism to learn new things, master social interactions, and develop new skills. This one may seem obvious, but it’s important to keep in mind. While we regularly encourage parents to stretch their child’s limits through recreational therapy and practice new daily living skills—vacation is not the time to try for new milestones. Your child will get enough opportunities to branch out and grow by being on vacation and away from an established, daily routine without being completely pushed out of his comfort zone. Think about what your child likes and which activities are the most calming and plan accordingly. Many children with autism have an affinity for water and nature, so a more relaxed trip to the beach or the mountains may be ideal as opposed to a highly-scheduled trip to a busy city or tourist center. Other children prefer more scheduled activities such as museum visits and theme parks. Theme parks can have a lot of noise and activity that can overwhelm a child with ASD. Plan shorter visits at times and days when there are less attendance, such as a weekday during the school year or a rainy day. You know your child best, so trust your gut and discuss your plans with the entire family, including your child with ASD. In addition to thinking about where to go, consider how you will get there, as some kids with autism can tolerate air travel better than others. Calling ahead to inform the staff of your visit will make your trip go more smoothly. Think about letting airlines, hotels, resorts, theme parks, and restaurants know about your travel plans, discussing your needs, and requesting special accommodations. Hospitality staff are in the business of making guests comfortable, and most are more than happy to help—many hotels and resorts even have safety packs for families traveling with young children or special needs children, and airports have begun offering rehearsal flying programs for kids with autism. If you call around and ask, you may be surprised by how many travel destinations already have modifications in place for families traveling with a child who is on the spectrum. For example, certain Wyndham hotel locations now have staff that have been trained in autism awareness and offer “autism-friendly” rooms that feature extra-large beds, safety precautions, and kits that include visual stories about the property. If you’re still deciding where to travel to this summer, check out this list of autism-friendly vacation destinations. Role-playing and visual stories, which are picture books you create to illustrate what will go on during the trip can help you and your child make the most of life’s big moments, from enjoying the holiday season to going on a fun, worry-free vacation. Again, you know your child best, so work with your child in a way that is well-suited to her needs. Some kids with autism need to start talking about and practicing for a vacation in great detail several weeks in advance in order to be ready. For others, too much complexity or detail, or knowing too early, may actually cause them to have added anxiety about the event. When you do prepare, create a visual schedule with simple captions, if necessary, and talk through each stop on the trip with your child. Experts agree that these word and picture associations can help your child feel ready and reduce problem behaviors. In addition to role-playing and visual schedules, a detailed packing list can be an effective tool for helping your child prepare for vacation. Put together a checklist to make sure that you don’t leave anything behind that your child requires to feel secure—as well as special reinforcements and rewards for good behavior. Of course, all kids are attached to their stuffed animals, favorite toys, or other comfort items, but children with autism grow particularly attached to objects, often seeing them as extensions of themselves. Forgetting these items could potentially ruin an otherwise perfectly-planned getaway. Think through your child’s daily routine and include all items that your child needs to make it through his day—favorite snacks, books, toys, electronics, weighted blankets, and assistive communication devices. After you’ve created your checklist, talk over it with your child as a way to reinforce what’s about to happen and to ensure your child that all of his needs are going to be met. Wandering or elopement for children with autism is always a concern, but it’s an even greater concern while on vacation. All of the preparation you did with your child prior to the vacation will help keep her safe, but you should also put some additional safety measures into place. 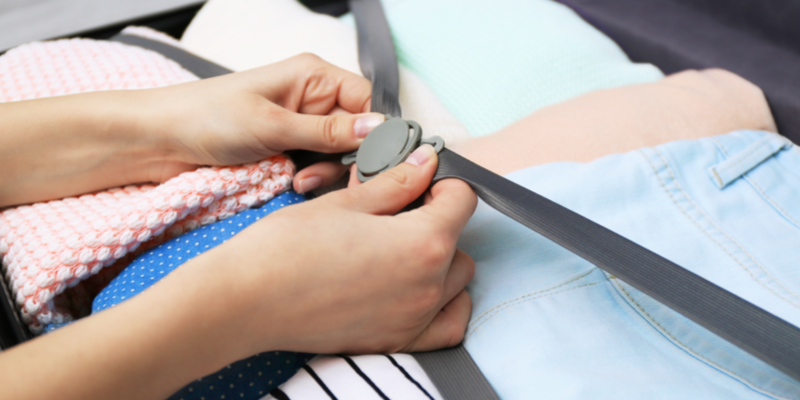 Use a medical bracelet or necklace, or shoelace IDs or zipper pulls if your child won’t tolerate jewelry. You should also consider ID cards, name tags, matching outfits—anything that identifies your child as belonging to you. You can also ask your hotel if they have safety kits available that include items such as window locks or alarms. Above all, you should remember to plan for comfort and relaxation. Plan activities in short 1-2 hour segments rather than long stretches and set aside plenty of time for breaks so you don’t wear out your kid. Meltdowns and other problem behaviors are less likely to occur if your child feels rested and unhurried. We know that vacation planning sounds like a lot of work when you’re trying to accommodate a child with autism, but many psychologists argue that planning and anticipating a vacation provide just as much enjoyment as taking the vacation—so think of it as doubling your fun! Plus, extra planning helps you ensure that your much-needed getaway goes as well as you want it to, providing memories your family will cherish forever.